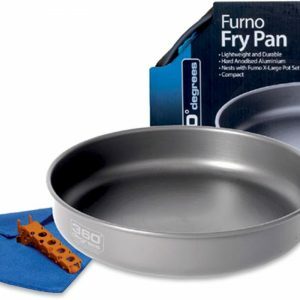 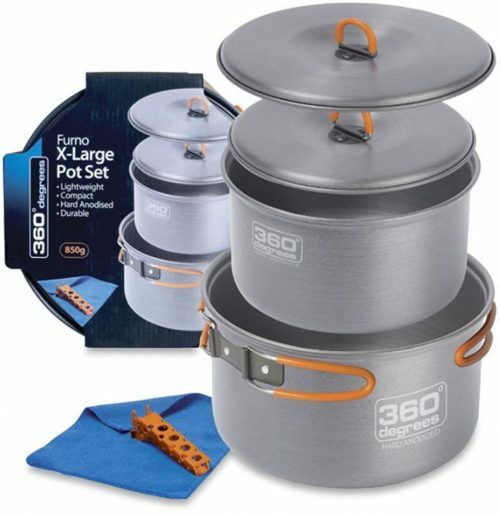 If you’re in the market for a durable and convenient cooking set that’s at home in your lightweight gear stash, then look no further than the Furno X-Large Pot Set from 360 Degrees. 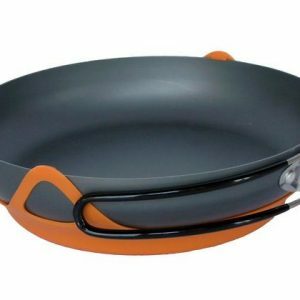 Made from hard anodised aluminium alloy, this set is abrasion and corrosion resistant, distributes heat evenly, and as an added bonus is easy to clean. 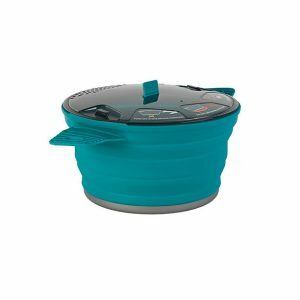 The X-Large Pot Set contains a 3.6L pot with lid, 4.7L pot with lid, a pot grip, and dish cloth – so you’ve got all the essentials for making some culinary magic happen out in the elements. 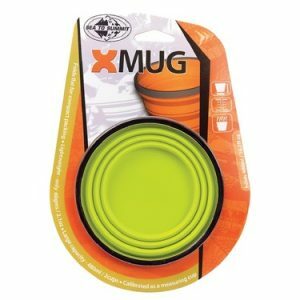 The handles are heat resistant, and can be folded away which makes it easy to fit in your pack, and the entire set nests inside the 4.7L pot for easy storage. With the X-Large Pot Set from 360 Degrees, you can rustle up a larger meal for friends or family if you’re out on a longer trip, or weekend picnic.